Ever go to places and they offer you the house balsamic dressing?! It’s one of my favorites to try and rarely am I disappointed. 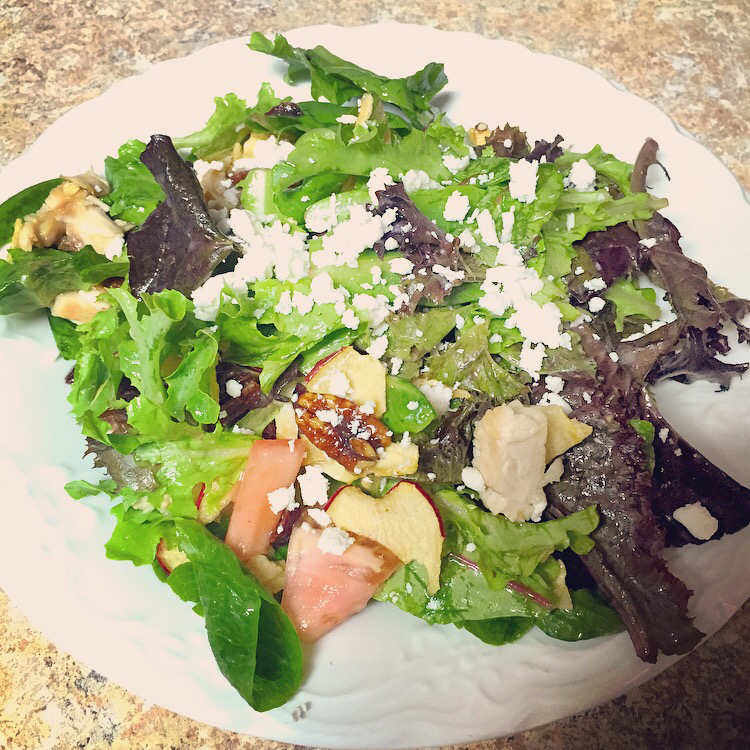 I love love love homemade balsamic dressing. Unfortunately, this pregnancy has made me very particular about what I’d like to eat and salads that have balsamic dressing aren’t one of them :-(. Pasteurized Feta Cheese – make sure it’s pasteurized if your pregnant! Set aside and get ready to create something delicious that will make your heart very happy!